The legalization of cannabis is creating opportunity for existing and new cannabis entrepreneurs. 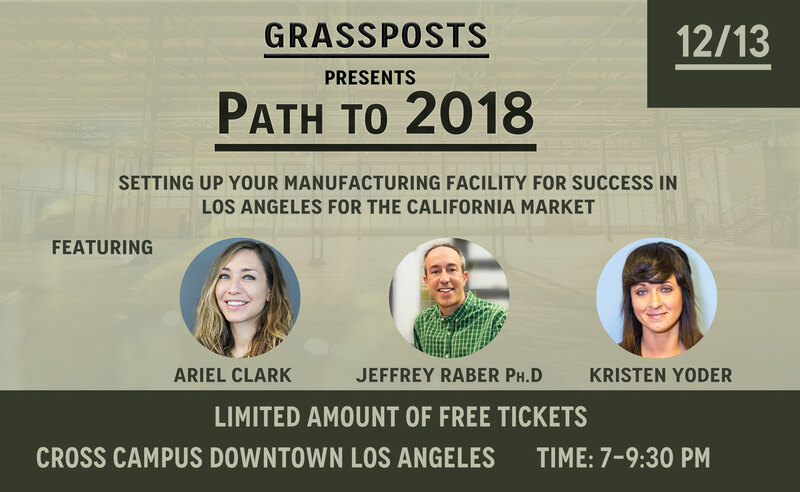 With the recent news of Los Angeles allowing for volatile manufacturing, we will definitely see a surge of more manufacturers coming to the Los Angeles market. The challenge is getting yourself established and preparing your roadmap to success. Whether your a infused product, volatile or non-volatile manufacturer, there are a lot of questions and concerns that must be addressed prior to going all in. Everything from selecting the proper real estate to which equipment you really need to produce your final products. We will go over these topics and other operational and investment topics that can make a difference in how well your company does moving forward. We all have our multi-million dollar exit strategies but do we all have the roadmap on how we are going to achieve them. Topics to be Covered: Licensing Compliance for Manufacturers Infused Product Market Extraction Methods Sourcing Raw Material Path to Success The event format will be as follows: 7-7:30 pm ( Networking) 7:30-8:40 pm (Panel Discussion) 8:40-9:00 pm (Q & A with panel) 9:00-9:30 pm (Network) This is a non-consumption event.